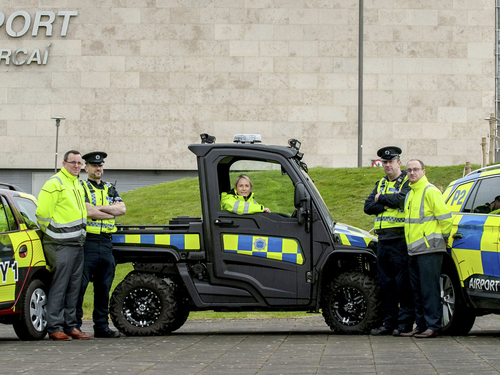 Three new state-of-the-art vehicles including a John Deere Gator have been added to the fleet at Cork Airport, as part of the site’s continued investment in its policing and safety functions. The introduction of a full-specification John Deere XUV 865M Gator utility vehicle will improve the ability of the Airport Police Service (APS) to patrol and respond off-road and operate on all types of terrain during severe weather conditions. Extras on the Gator include a winch, LED lights and specially for police use, a PA system and data recorder.